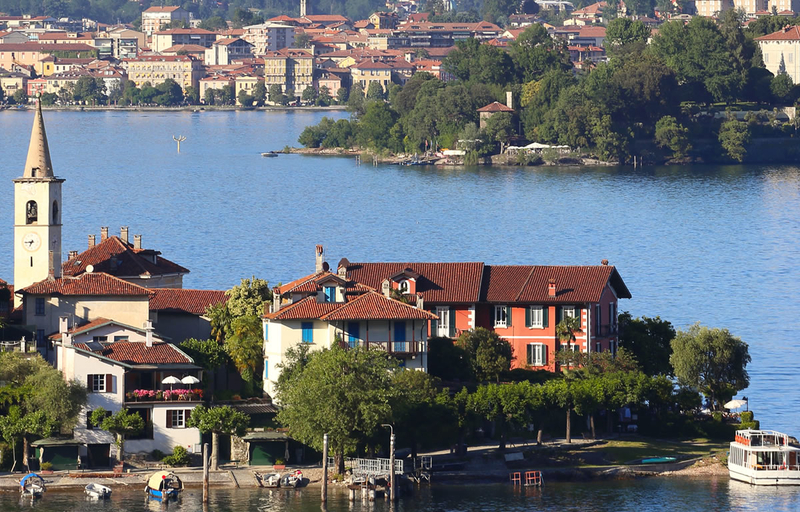 Soak up a luxury Lake Maggiore getaway, with this couple-friendly resort apartment! Perfect for those relaxed, romantic resort-style stays with your loved one, this modern lake view home in ‘Golfo del Sole’ Maccagno promises a cool, captivating setting for year-round escapes on Lake Maggiore. The 1st floor apartment is fully-air conditioned throughout and benefits from free WIFI access and its own private balcony terrace. The chic living room oozes effortless style and serenity, and is accompanied by a relaxed open plan Kitchen Diner. The modern Kitchenette is equipped with an induction hob, oven, microwave, electric kettle, coffee machine and fridge freezer; making it perfect for relaxed morning coffees and carefree snacks. A stylish dining area for 4 also invites guests to savour a carefree evening meal. modern Double bed featuring alongside a useful fitted wardrobe. The lovely apartment further benefits from underfloor heating, laundry facilities, a contemporary fitted shower room and a private parking space. The luxury lake view ‘Golfo del Sole’ residence offers every imaginable convenience for those looking to enjoy a full-on lake break. For those wishing to relax, the gorgeous outdoor Lido with swimming pool and jacuzzi (weather dependant, and normally open from the 15th April - Mid October from 8am till 8pm) is just the ticket. For those craving some action and lake-based fun, the ‘Golfo del Sole’ residence offers a Sailing club, marina with boat moorings and a variety of climbing walls, tennis courts, beach volley ball court and mountain biking opportunities along the nearby woodland trails. Infant baby cots can also be hired (for an additional charge). A contemporary fitted suite with shower cubicle, wash basin, WC, bidet and heated towel rack. The beautiful holiday residence is situated next to the main road and lake promenade of Maccagno. From here, the beach, marina and town amenities can all easily be reached and enjoyed. The picturesque Medieval town offers proximity to Luino (7 minutes’ drive) for its famous weekly market, ferry and train links as well as the many highlights of Lake Maggiore. These include the FAI Villa attractions and gardens, family-friendly zoos, the Mottarone hiking trails, UNESCO World Heritage site of Santa Caterina del Sasso, the Medieval Angera Castle, the unique Borromean Islands, the established resort town of Stresa and the knock-out palatial gardens of Isola Bella. Golfing fans will also find 6 prestigious clubs within a 40-km radius, whilst avid Skiers have the slopes of Forcana 15 minutes’ drive away and the Swiss ski resorts of San Bernardino, Airolo and Andermatt just over 1 hours’ drive away. Milan Malpensa Airport is situated 1 ½ hour’s drive away.